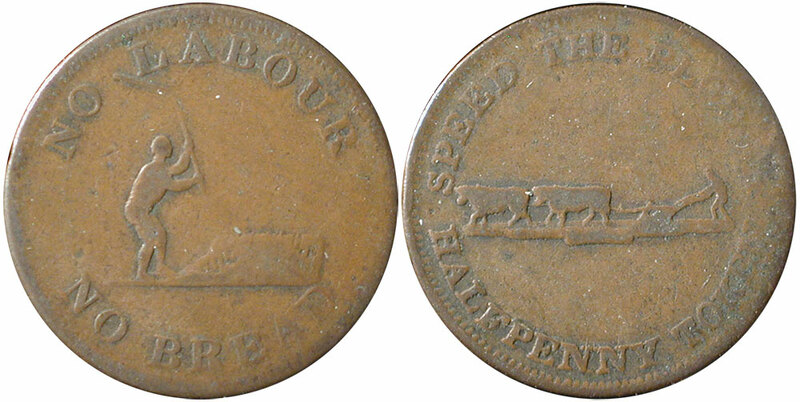 Token imported from Birmingham by a Toronto business. 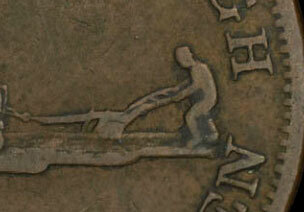 Text : No Labour No Bread. 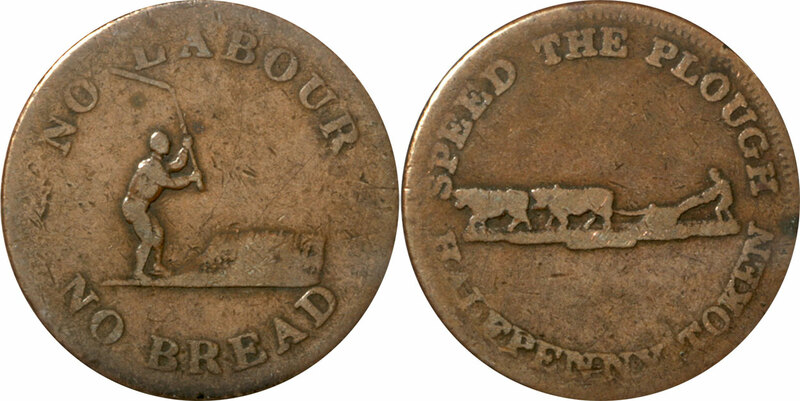 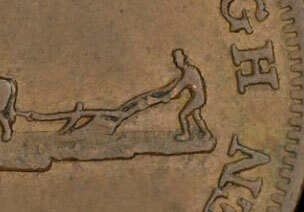 Speed the Plough - Halfpenny Token.